Do you have questions about FEMA's re-survey of the area for flood plain mapping? FEMA flood plain mapping can affect if you need to carry flood insurance on your property or not. 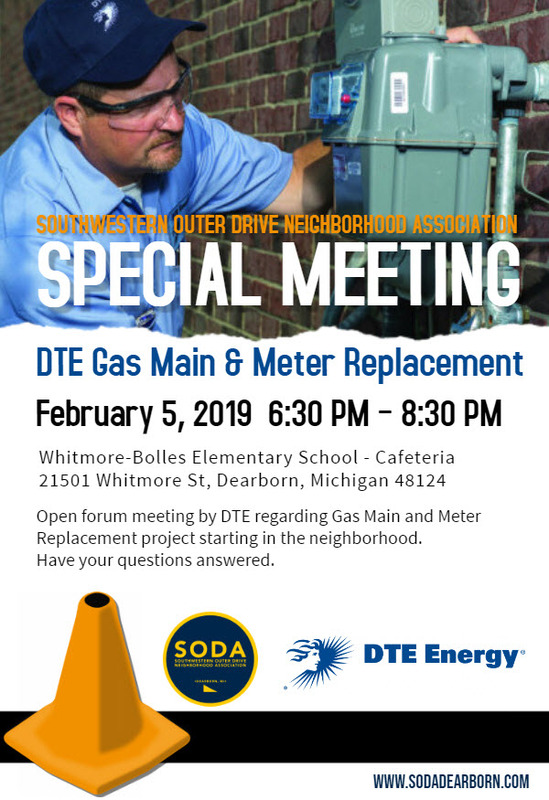 City of Dearborn Engineer Yunus Patel as well as DPW Director James Murray will be available to answer questions at the Special Meeting on Feb 5th. In addition to the DTE project you can get additional information on other City projects as well.